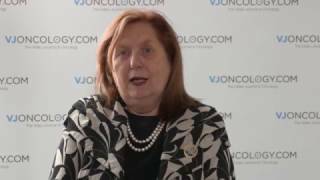 Judith Shamian, RN, PhD, DSci, LLD, FAAN of the International Council of Nurses, Geneva, Switzerland gives an overview of her talk on the impact nurses have on the health of the global population held at the European Cancer Congress of the European Cancer Organisation (ECCO) 2017 in Amsterdam, Netherlands. Dr Shamian discusses the current role of nurses, which is mostly in the cure and care areas. She explains that there is a larger agenda for nurses, which is the role nursing on a government and global level where nurses do not have representation. In order to influence the quality of care, they need to have a stronger position in these settings.